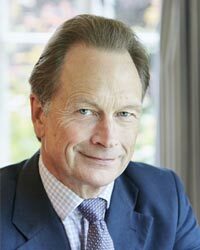 Nigel graduated with an MA in Human Sciences from Oxford University and then trained at the Anglo European College of Chiropractic. He joined the practice in 1982 and he is now the Principal and owner. He was Vice President of the British Chiropractic Association (BCA) and served on the General Chiropractic Council. He has been involved in research as well as speaking at GP and NHS conferences about chiropractic and the management of back pain. He chaired the BCA Interprofessional Relations Committee and was Director of Continuing Professional Development and Director of the Health Policy Unit for the Royal College of Chiropractors. He is married with five grown-up children and lives in Kingston Deverill. He has a large garden and likes sailing, fishing and walking the dog.